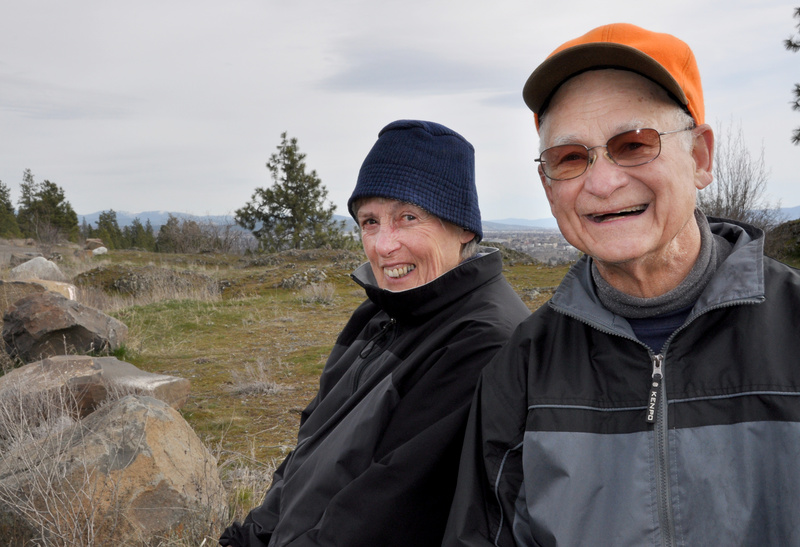 Sun., April 21, 2013, 12:03 a.m.
Vic and Robbi Castleberry have been stalwarts of Spokane land and river conservation for a half a century. Perhaps none of their causes stands so tall for the public as Palisades Park. They are founding members of Palisades, the nonprofit group originating from the Indian Canyon-area neighborhood that organized to take care of the park. They’ve wielded tools on the park’s trails and filled bags of garbage with the senseless litter. More important, even in their retirement, they’ve stepped up to be become familiar faces in offices and meeting rooms of city, county and state officials. The Castleberrys serve as role models from city hall to their back yard. While lobbying for expansion of public protected open space at Palisades, they also drew up a conservation easement 10 years ago that assures the 14 acres behind their home will remain open space forever. Published: April 21, 2013, 12:03 a.m.